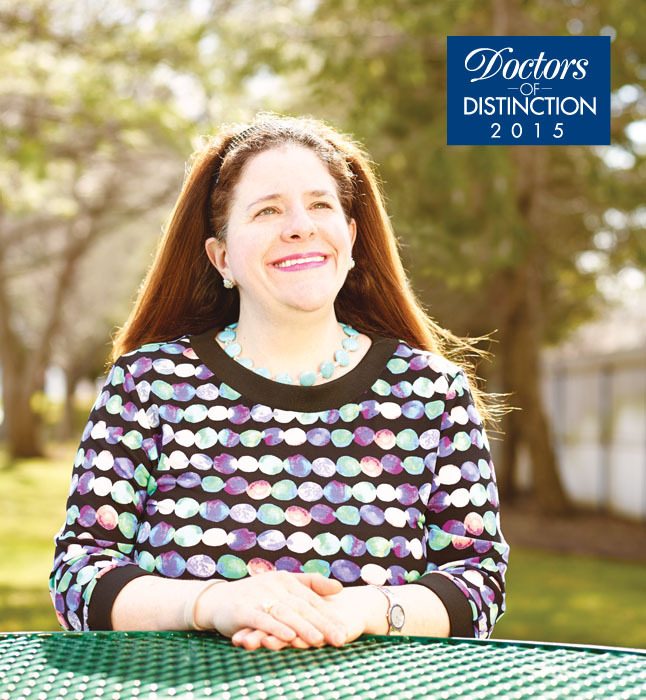 This award-winning dentist first heard the call to dentistry at a young age. Following in her mother’s footsteps, she worked as a part-time dental assistant during high school and college. Upon graduating, she committed herself not just to providing excellence in dental care but also to putting her patients’ comfort above all else. Dr. Lizzio pursues all avenues of treatment to find solutions that will positively impact both patient confidence and oral health. Since starting her career in 1997 she has implemented numerous relaxation techniques and the latest practices in sedation to ensure a comfortable dental exam. Her ability to relax children and patients suffering from high levels of anxiety is just one of the reasons her clients are loyal to her. She attributes her success to continuing to develop her professional experience and compassionate methods to provide holistic dental care. An active member of the community, Dr. Glazer routinely volunteers to give screenings at local charity events and lectures elementary school children about the importance of oral hygiene. She is a recipient of the Sally Anne Slack memorial award, which recognizes excellence and leadership among female business owners. 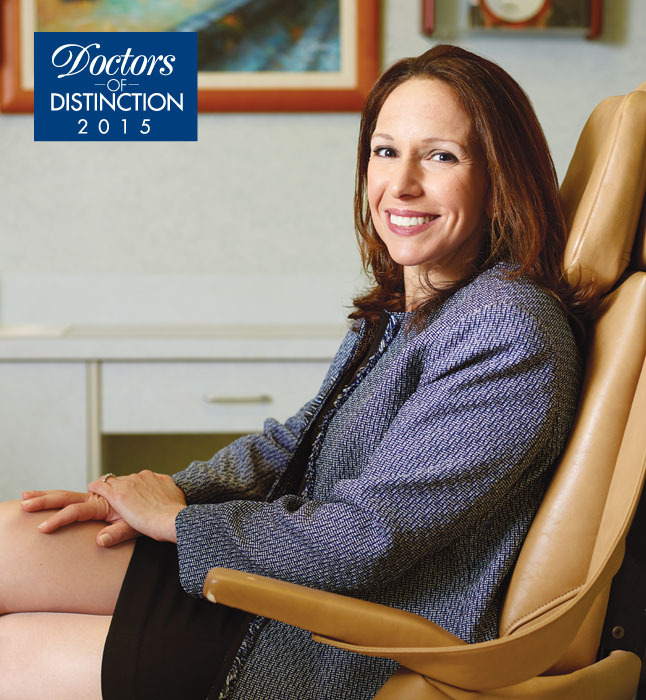 Dr. Glazer prides herself on balancing her dental practice and community involvement while continuing her education. She stays abreast of the advances in her fi eld, ensuring that her patients will be smiling for years to come. Dr. Glazer’s commitment to developing her knowledge base enables her to tailor treatments to each patient’s needs and preferences, fostering a comfortable, conscientious environment. As an outspoken patient advocate, Dr. Ruggiero has cultivated a symbiotic relationship between the medical community and the social, cultural and health needs of his patients. He believes the key to quality healthcare lies in the connection between patients and physicians and actively encourages his patients to engage him in their health care plans. In 2013 Dr. Ruggiero was named president of the Suffolk County Medical Society, where he is working to create an infrastructure that allows a far greater representation of patient’s needs. 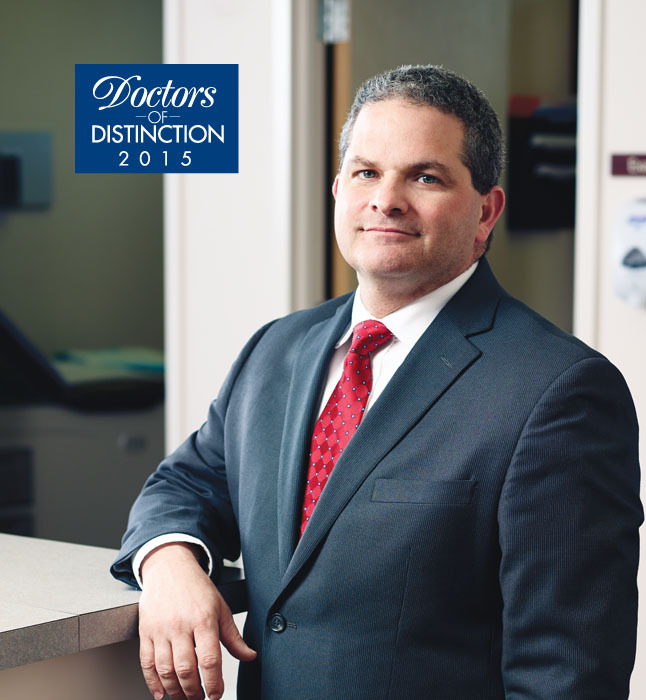 He is board-certified in family practice and serves as chief of family medicine at Peconic Bays Medical Center. He is also the director of medical education for the PBMC Health Graduate Medical Education Program, which serves as a major clinical campus for the New York College of Osteopathic Medicine. Dr. Ruggiero also finds time for his private practice in Shoreham, one of the outpatient sites dedicated to the education of PBMC students and residents. Dr. Goldberg was looking for a stimulating profession to foster relationships with patients over a long period of time. Unlike other specialties in dentistry, orthodontists treat patients from one to three years at a time and visits are frequent. This, combined with his love of smiles, led Dr. Goldberg to a career he has been enjoying for more than a decade. 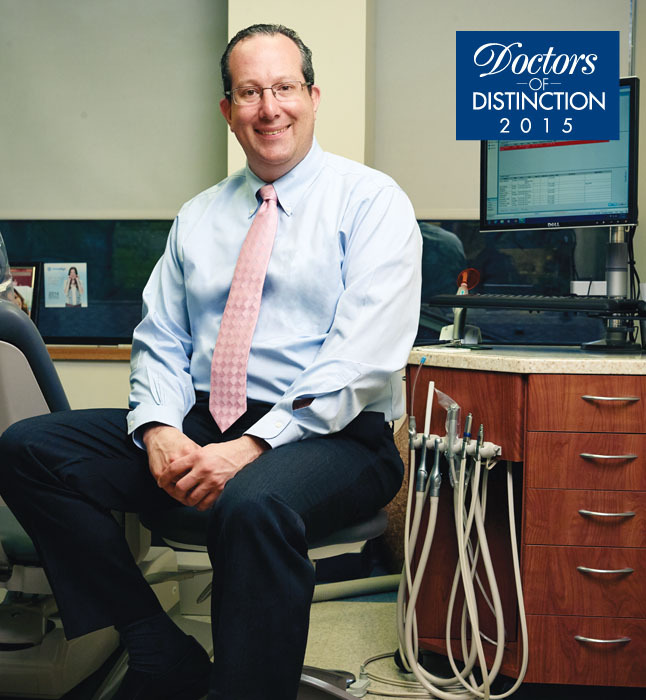 Dr. Goldberg is involved in multiple dental organizations and attends continuing education lectures across the country to stay up-to-date on cutting-edge techniques. This allows him to care for his patients with procedures that both limit discomfort and shorten treatment times. In addition to maintaining a private practice in Roslyn, Dr. Goldberg is the chief of orthodontics at North Shore LIJ Cohen Children’s Medical Center. He graduated with honors from the University of Pennsylvania School of Dental Medicine, where he also received his certificate in orthodontics. Dr. Citron doesn’t just treat his patients, he treats their quality of life. A devoted oncologist and researcher, Citron leverages his more than 40 years of experience to advance cancer care through clinical research. In fact, Dr. Citron has dedicated his career to cancer research and therapy, focusing on improving methods of treatment. In the early 2000s he pioneered a groundbreaking study that outlined Dose-Dense chemotherapy, a treatment that applies postoperative chemotherapy in a shorter, more intense time span. Dose-Dense chemotherapy is now one of the leading postoperative treatments for breast cancer due to its superior efficacy and reduced toxicity. 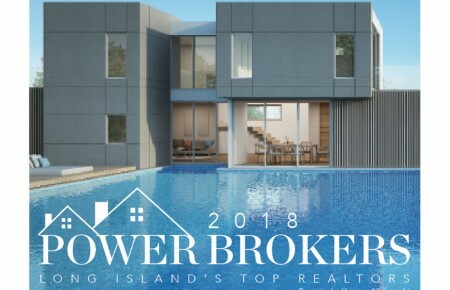 Dr. Citron has headed Long Island Jewish Medical Center’s Medical Oncology Section for 13 years and is a founding physician of ProHEALTH, one of the largest integrated physician group practices in the New York metropolitan area. For ProHEALTH, he serves as chief of oncology and director of cancer services. Additionally, Dr. Citron is a clinical professor of medicine at Hofstra North-Shore-LIJ School of Medicine. 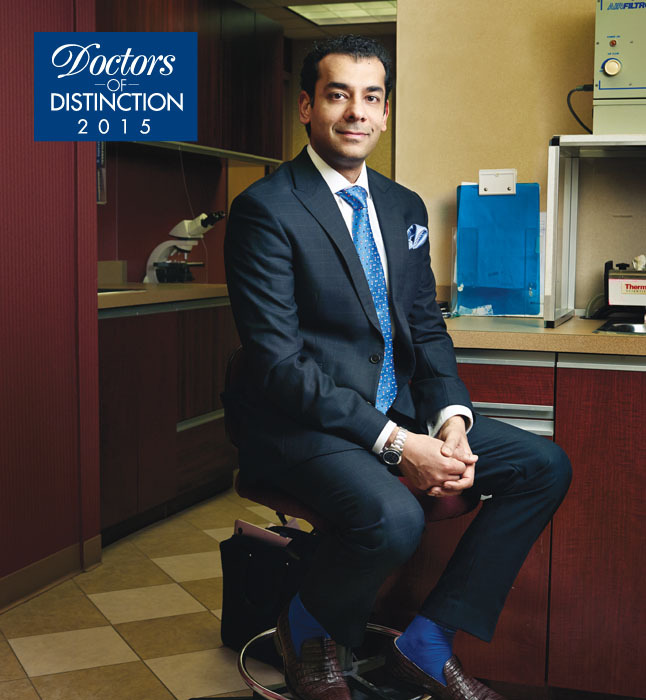 Dr. Madnani grew up intrigued by the complexities of the human face—he’s an identical twin. Peoples’ confusion about his identity captured Madnani’s attention and fueled a creative obsession with sketching faces. This fascination ultimately translated into a career in plastic surgery. Dr. Madnani spent his childhood in Hong Kong and Europe and made his way to the United States in 1986 to complete his undergraduate studies at Brown University. From there he attended medical school at the Albert Einstein College of Medicine where he worked towards becoming a head and neck surgeon with the subspecialty of facial plastic surgery. He is now certified by the American Board of Facial Plastic & Reconstructive Surgery and the American Board of Otolaryngology-Head & Neck Surgery. 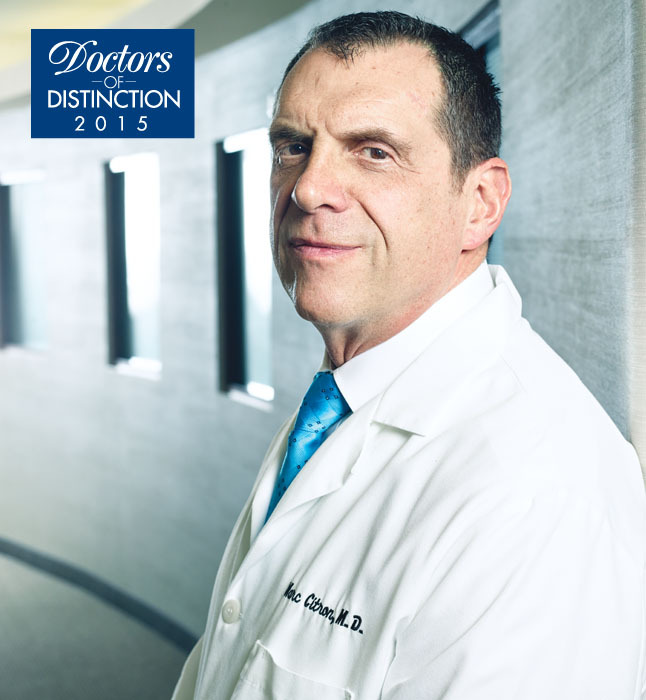 He also has experience with reconstructive surgery of skin cancer defects, as well as all aspects of otolaryngology. Since 2010, Dr. Madnani has been working at his private practice in New York, providing specialty cosmetic and surgical care of the face and neck. He performs facial plastic procedures including face-lifts, neck-lifts, upper and lower eyelid surgery and fat grafting to improve facial shape and decrease lines. 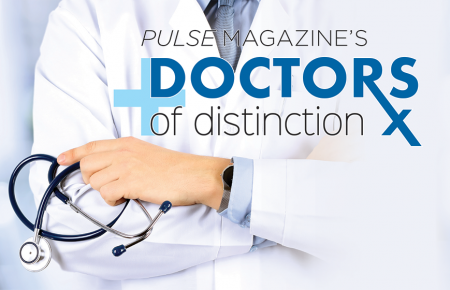 To positively contribute to his profession, Dr. Madnani teaches at Jacobi Medical Center, an affiliate and clinical teaching site of the Albert Einstein College of Medicine.